On July 22nd, 2016, Relient K made an impressive comeback with the release of Air for Free. The 16-track album is an exciting addition to the alternative rock band’s extensive discography, which includes nine studio albums, ten EPs, and four compilation albums. With so many options, choosing a Relient K song to listen to at any given moment can be a daunting task. Hopefully, this article will make the decision much easier for you. Find the situation that strikes a chord with you; then turn up the suggested song and let Relient K blow you away. “Cat” from Air for Free. With lyrics about shaking tambourines, living “a long, long time,” and embracing your inner “crazy cat,” it’s the perfect song to blast when you’re feeling on top of the world. The chorus, which features jaunty “oh-oh-oh”s and jubilant horns, is nothing short of sonic sunshine. “Let It All Out” from 2004’s MMHMM. In this poignant piano ballad, Matthew Thiessen demonstrates both vulnerability and solemn strength as he chronicles the process of healing after heartbreak. When he laments his “inconsistency” in the first verse, his voice flies toward the stars and back to earth, caught in a tempest of confusion. Later in the song, he declares, “The end will justify the pain it took to get us there” and sounds confident enough to reassure listeners that he’s telling the truth. By the time the song’s twinkling instrumentation fades out, Relient K has successfully dethroned despair and replaced it with hope. “Pressing On” from 2001’s The Anatomy of the Tongue in Cheek. In this pop punk gem, Matthew Thiessen sings about breezing past life’s difficulties with positivity that’s completely convincing and completely contagious. The song’s happy-go-lucky lyrics, frenetic guitars, and fast-paced percussion will give you enough energy to bounce resiliently through any struggle, be it a long day at work or a conflict with a friend. “Candlelight” from 2009’s Forget and Not Slow Down. A must-hear for fans of Never Shout Never and the Plain White T’s, it’s a truly fun ballad that manages to be sweet without sounding too cliched or sappy. On the album, the song leads into “Flare,” a minute-long coda that features the soft, graceful plunking of xylophones. “Look On Up,” a 2016 single. An acoustic ballad that demands to be listened to beneath a starry summer sky, this song will make you question your Instagram obsession with casually introspective lyrics like “Wonder why I put a filter between beauty and my eyes.” Carrying the torch of Transcendentalism without seeming pretentious or contrived, Relient K discusses a dilemma peculiar to young people living in the twenty-first century: what happens when you’re so busy taking photographs that you forget to make memories? “Devastation and Reform” from 2007’s Five Score and Seven Years Ago. Featuring some of Relient K’s best work on both drums and guitars, this hard-hitting confessional song never loses its intensity. Honest lyrics like “Fear can drive stick” and “Afraid to admit I might self-destruct” should strike a chord with any fans who have ever felt conflicted with themselves. Of course, in true Relient K fashion, there’s a shred of redemption near the end. “Mrs. Hippopotamuses'” from Air for Free. Sure, the song’s specifically about growing up in Ohio, but it’s loaded with sentiments that anyone longing for simpler times will find relatable. The football chant hook that drives this song is pure perfection; when Matthew Thiessen sings over it, playing with the duration of syllables, he sounds like he’s having the time of his life. Another reason to love this song: how could you not love a song with lyrics about singing along to Weezer and going to “Mrs. Hippopotamuses’ otter waterpark” (whatever that is)? “Sadie Hawkins Dance” from 2001’s The Anatomy of the Tongue in Cheek. One of the band’s earliest singles, this pop punk classic is famous for its goofy, entertaining rhymes about high school (“The quarterback asked me if I’d like a beating/I said, ‘That’s one thing I won’t be needing'”), which tell a story that could easily be made into a Disney Channel Original Movie. “Crayons Can Melt On Us For All I Care” from 2007’s Five Score and Seven Years Ago. Genius. That’s all I can say. 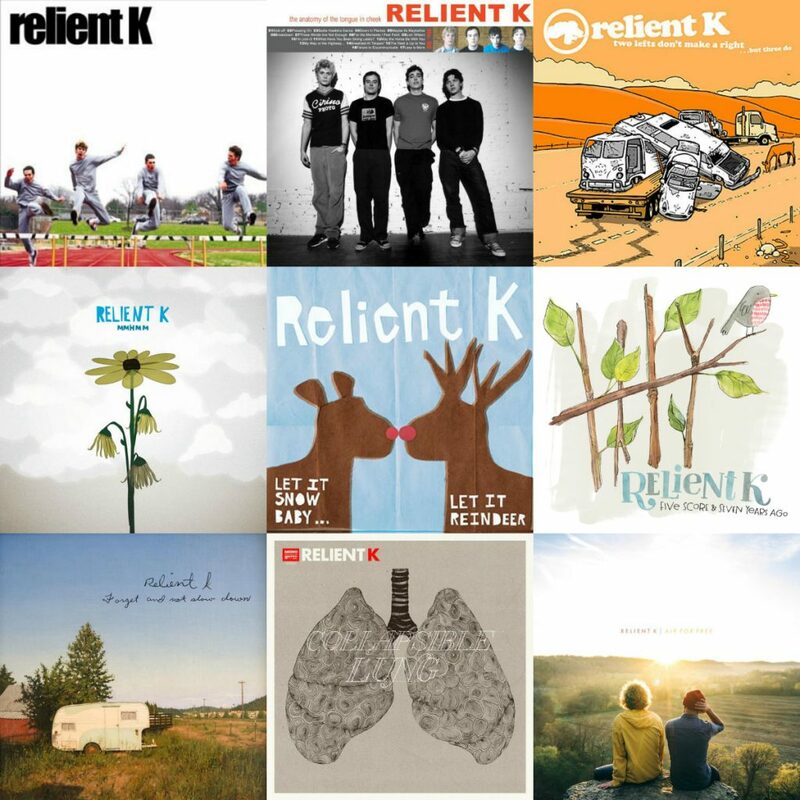 What are your favorite Relient K songs and why? Let us know in the comments?